The Japanese influence in the design of this geometric container is immediately evident. Like a Haori, the traditional Japanese jacket worn with a kimono, Hayama is characterised by the same formal cut which plays on volume and subtraction. 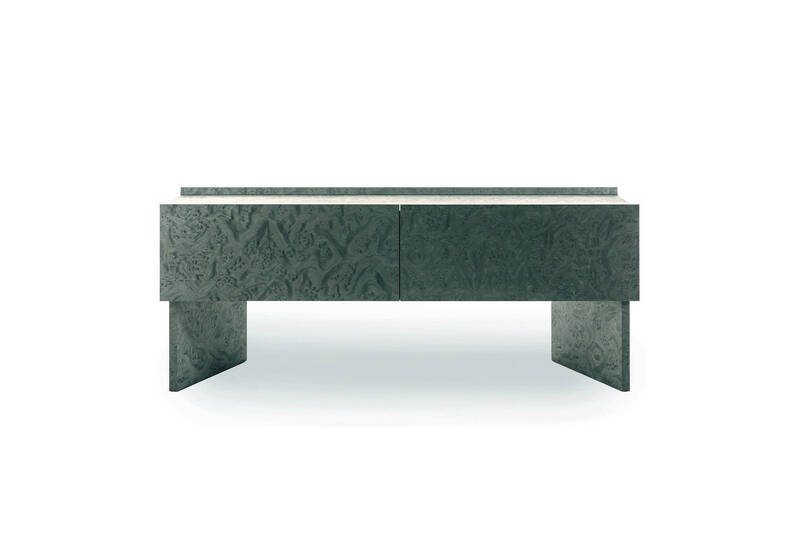 The legs, oblique in relation to the main structure, are the distinctive element of this simple and elegant sideboard. 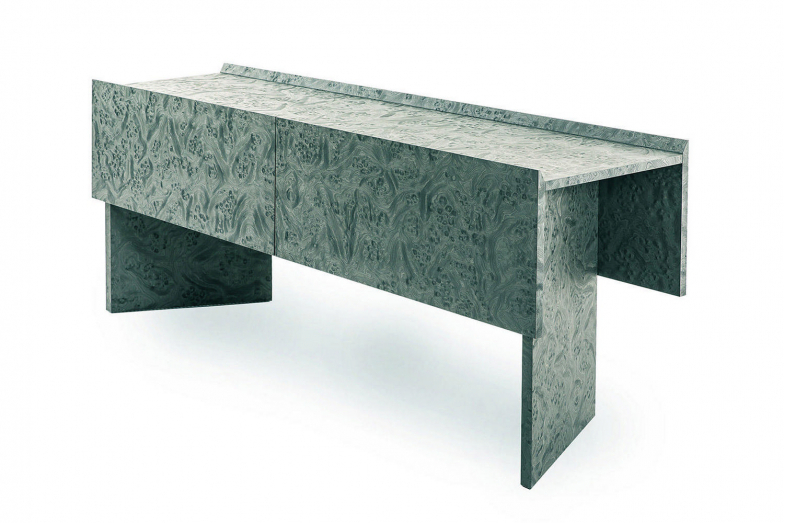 Apparently minimal, its solid form is accentuated by thinned edges that lighten its appearance. Perfect for living and dining areas, Hayama has two doors and transparent glass shelves inside. Hayama is available in one size either in matt grey wood with a brierroot effect or polished lacquer in a wide choice of colours. The piece is re-reading of the work of the architect Kazuhide Takahama who industrialized the antique lacquering tradition, expressing the clear desire to go beyond rationalism through the research of relations with the past.